I’m initiating a series of posts on Quezon City – focusing on the pedestrian and parking facilities that were constructed not so long ago. 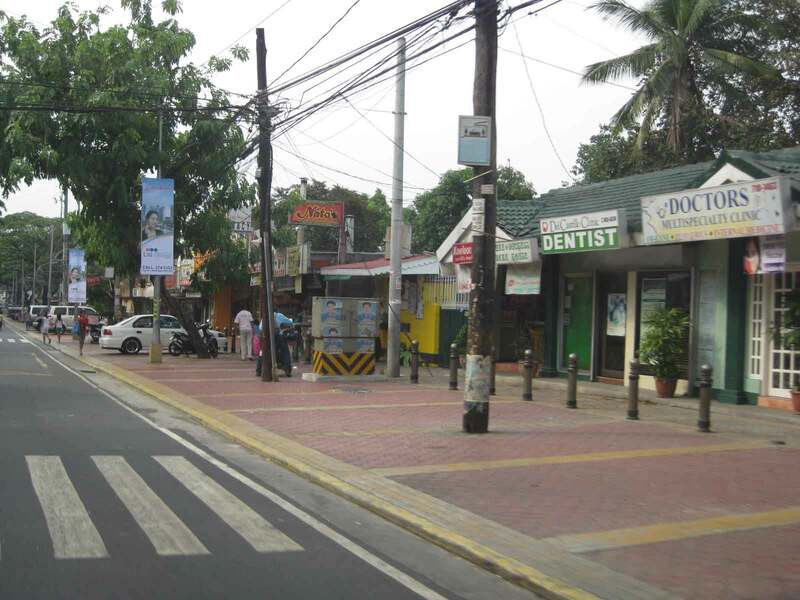 As part of a city-wide project using local funds generated from QC’s internal revenue allotment (IRA) and other incomes, the city constructed pedestrian sidewalks and off-street parking spaces along its major roads. These included roads like Quezon Avenue, Visayas Avenue, West Avenue and Tomas Morato Avenue. I believe that these facilities provide example of good practices for other cities seeking to enhance walkability while addressing on-street parking issues. 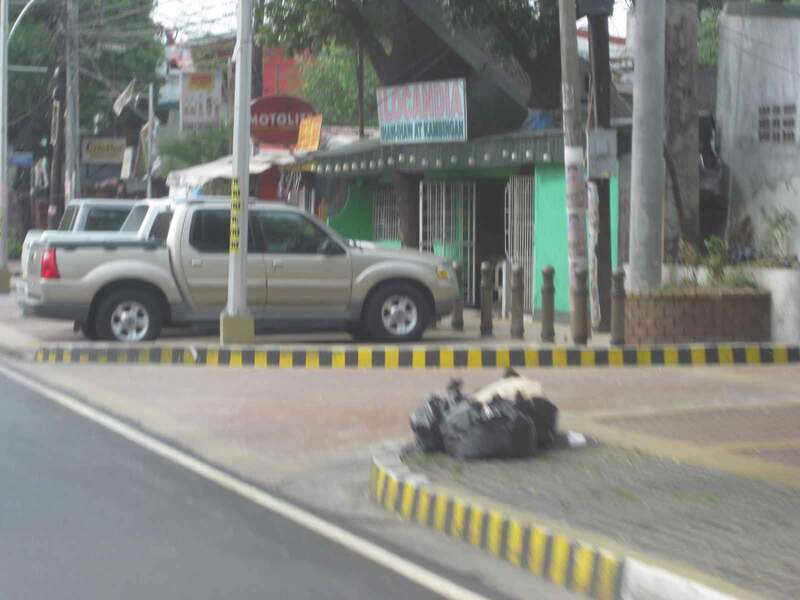 Following is a photo journal of pedestrian and parking along Visayas Avenue. 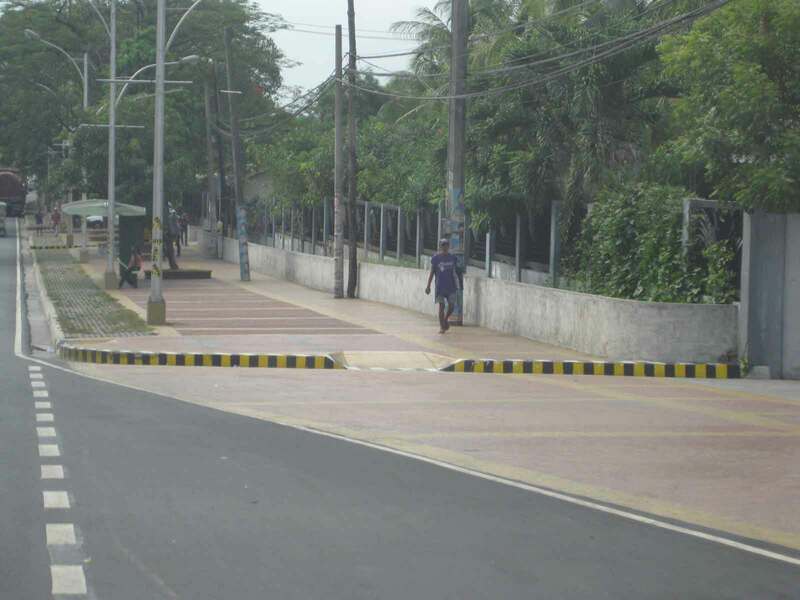 Spacious pedestrian walkways along Visayas Ave. visible upon turning right from the Elliptical Road. 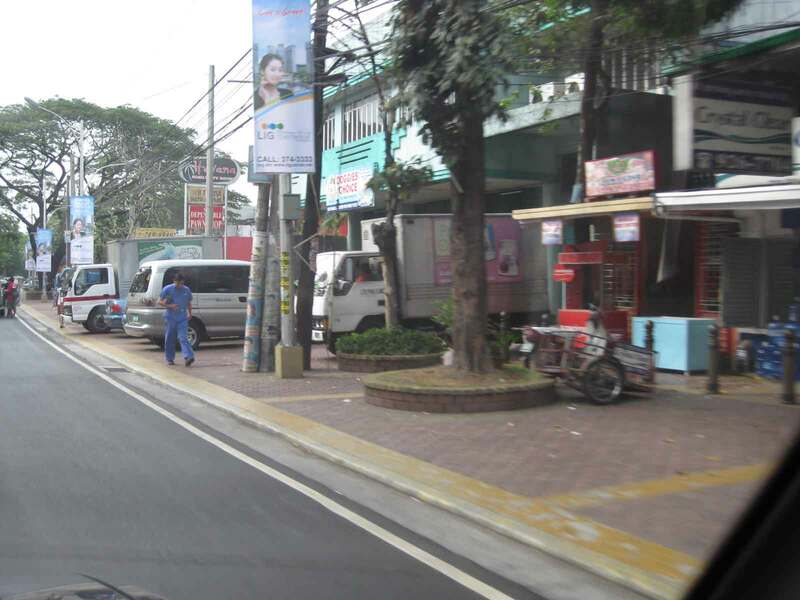 Combination of parking and pedestrian walkway along Visayas Ave. along a line of commercial establishments, mostly restaurants and shops along the road. There are bollards to separate parking spaces from the walkways. Despite the opportunities during the project, many lamp or electric posts have not been moved/transferred. These create obstructions in addition to the common practice of delivery trucks backing up and blocking pedestrian paths. 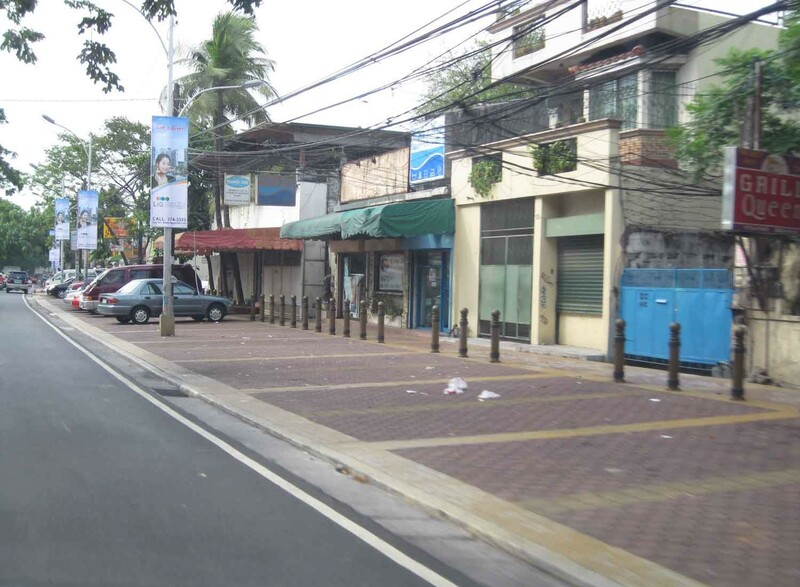 Commercial and residential buildings along Visayas Ave. have benefited from the project as there were no off-street parking along most sections of the road and pedestrian facilities were often the token sidewalks that are also often obstructed with debris or vendors. 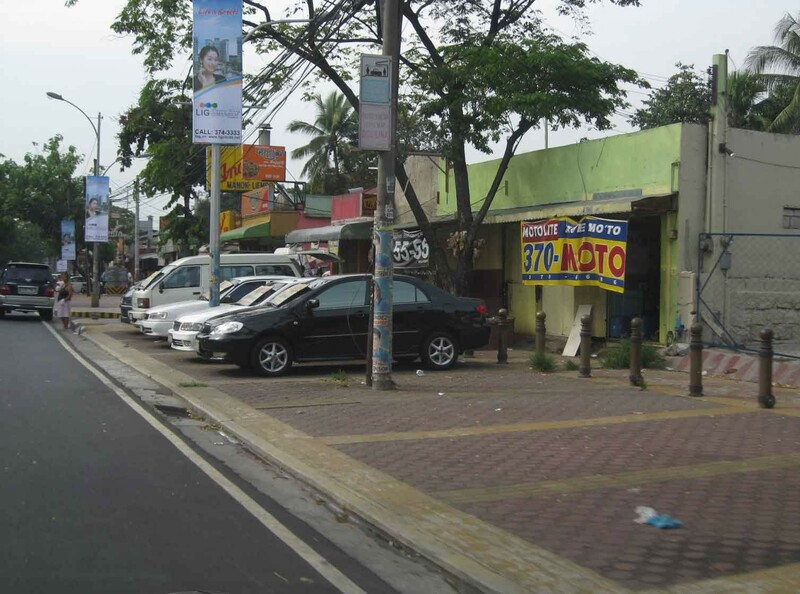 There are few other cities in the Philippines with off-street parking such as this that does not intrude into the rights of way for pedestrians. Then again, there are also limited opportunities where space is generally not available for such projects. Most establishments along this side of Visayas Ave. had adequate frontage space or buffers (likely part of the road’s ROW) that made it possible to have pedestrian and parking spaces. In the last local elections, parking fees for these spaces became an issue. Since government money was used to construct the parking facilities where there were none despite minimum parking requirements for establishments as stipulated under the National Building Code, some councilors proposed parking fees to recover the cost of construction. Some sectors including the businesses rejected the proposal stating that these benefit the general public. In an unusual move, the Catholic Church in QC even stated in a pastoral letter (!) that parking fees were anti-poor, something that was difficult to understand given that car-owners were the first to benefit from off-street parking. I doubt if what we regard as poor people would own cars. Parking fees were never implemented along this road and others like it. By d0ctrine in Parking, Pedestrian, Walking on September 25, 2012 .